Jails are far more expensive than previously understood, as significant jail expenditures -- such as employee salaries and benefits, health care and education programs for incarcerated people, and general administration -- are paid for by county or municipal general funds, and are not reflected in jail budgets. 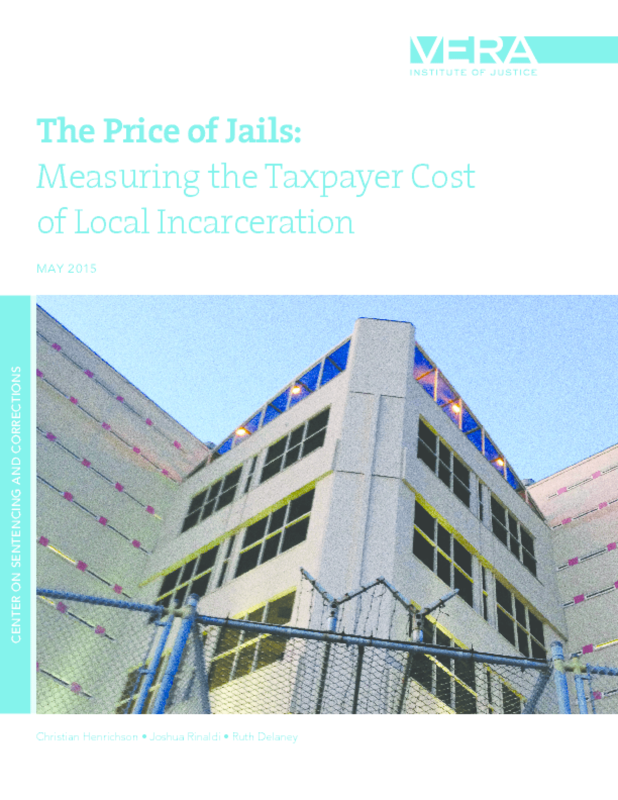 Drawing on surveys from 35 jail jurisdictions from 18 states, this report determined that even the jurisdictions themselves had difficulty pinning down the total cost of their local jail or jail system. It also highlights how the surest way to safely cut costs is to reduce the number of people who enter and stay in jails. In doing so, jurisdictions will be able to save resources and make the investments necessary to address the health and social service needs of their communities, which have for too long landed at the doorstep of their jails. Copyright 2015 Vera Institute of Justice.